So, many years ago, right after I had gotten out of the Navy, I was working for a small mom and pop computer store that was relatively close to the base that I had finished my service with. I had been working there for a couple of months, when one day some folks in uniform showed up and asked me to come in for an interview, concerning some “interesting” items that had appeared in our used bins. I still had access to the base (I was inactive reserves at the time) and knew exactly where to go when they told me, so went to the interview. I told them all I knew about the situation, and was done in about half an hour. I never knew what happened with the information that I gave them, but I expect that some sailor somewhere eventually had a very bad day, since it was obvious that some hardware from the Navy had been sold off without their knowing it. Why this post? Well, I was reading some interesting things, and one of the things mentioned was being interviewed by NCIS, and that tickled my memory that I had once gone through the same sort of thing, two decades ago. Finally got a chance to go to PF Chang’s last week. 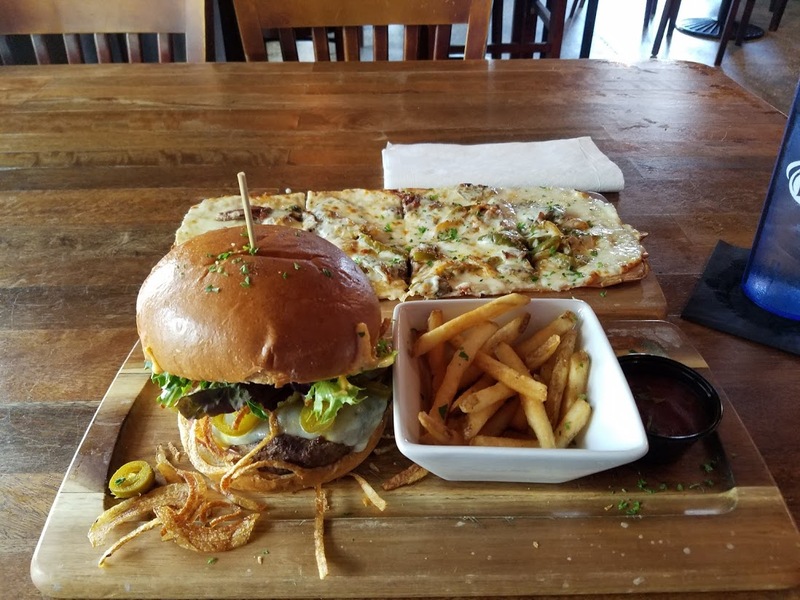 I have been to one other location in the past (Anaheim) and enjoyed it, so I had some background on what the food was like and what to expect. Of course, I managed to choose a Friday night before a football game weekend, so it was absolutely slammed. The rows of RV’s in Butler Plaza parking is enough of a sign to anyone that the restaurants in the area are going to be filled to the brim. I kind of knew this ahead of time, which is why I called ahead and made a reservation. I had tried to make the reservation online, which is an option, but apparently their system was down. Inside, I checked in and was informed there would be a small wait, which was acceptable. It really was slammed. Soon we were escorted to a booth. As a note, the booths are tight, so if you are a large person, you might want to hold out for a table with proper chairs. The place is decorated decently, with some monitors for watching the various sports that this town is known for. However, they have one significant problem here… the noise. There appears to be no baffling for noise whatsoever in this place, and it gets very loud very fast. I know others have reported on this issue, but I just wanted to reiterate the fact that they really need to do something about it, because it is not a pleasant experience. Anyway, on to the food. Our drink orders were taken… I opted for water, but others in my group went for some fancy things. One was the coconut cooler, which I tried. This was an odd thing, because one of the after effects of this drink is that it kind of tastes like buttered popcorn… and the moment you have that in your head, every subsequent taste of the drink tastes like buttered popcorn. Great if you are into that sort of thing. I will politely pass on trying that again. As it isn’t something I would ever order in the first place, I can’t call it a detriment to the place… different people have different tastes and all. Alright… on to the main course… I had ordered the chicken pad thai, and it was beautiful. Of course, by this time the table is kind of full of dishes, some empty, some not… I decided the the best thing I could do was to empty the plate from the lettuce wraps onto my pad thai, because why not? One less dish in the way, a bit of extra flavor on my main course, all is good! The pad thai was quite good. Not the greatest I have had, but good. PF Chang’s caters to the common denominator, so the concept of spicy is not really in their vocabulary. Still, it was good. I also got a chance to try one of the sides of asparagus that came out for a friend, and that was excellent. Finally it was time for dessert… not for me, but for others. It is really nice that they have some smaller desserts in the form of small jars, which are perfect for a single serving. The banana spring rolls also looked very good, and I know that one of our party can attest to that fact. All done with our meal, we paid our bill and got out of there. There was still a line at the door to get in, and it looked like they wouldn’t be calming down for a while. I would say for the next couple of months, if you want a quiet meal aim for a weekday, and definitely avoid game-day weekends. This time around we went to Bolay, a restaurant that serves bowls of food made fresh pretty much as you watch. They pride themselves on keeping the cooked food that is kept on the serving tables out front in relatively small portions so that you know that it is being prepared fresh. Entering the restaurant there are tables, half-booths, and high-tables. It is counter service, but they do have one staff member wandering around clearing your plates for you as you finish them, which is nice, and they keep the place clean. There is also an outdoor seating area which we did not use… it is bloody hot out there! I was one of the first to arrive, so I got to watch as others arrived and got themselves situated. Once pretty much everyone was there (there are always some stragglers) Matt made some announcements about what was going on, how we were going to go about things, and then introduced the manager of the restaurant. This turns out to be the sixth store in the franchise, and they are looking to greatly expand over the next couple of years as things catch on. I wish them success! We got a bit of history of the restaurant, and then it was time to eat! I was one of the last to get in line (go figure, right? One of the first ones there, one of the last to get in line) so I got to see the process pretty well and noted that they are not well situated for handling huge crowds hitting them at once, which means that tour busses should probably steer clear. 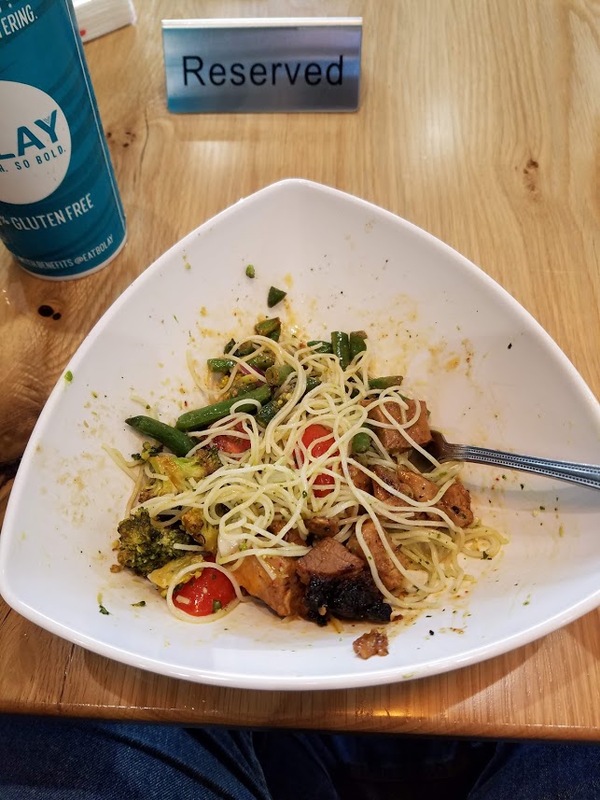 Once I got to the serving area, I made my choices of cilantro noodles, broccoli, green beans, pork tenderloin, minted tomatoes, and a lovely spicy thai sauce to top it off. It was recommended to go with the cilantro pesto to compliment the noodles, but I like spicy. Eating the bowl, it was delicious, and I would go back here again for a lunch or something of that nature. However, this is a Yelp Event… we aren’t rating just the food (it was excellent). We are rating the whole experience… and in that regard, I have to say this one fell a bit shorter than what I have experienced in the past. I just didn’t feel the camaraderie at this event that I felt at previous ones. We did discuss the food a bit, but things seemed… rushed. Don’t get me wrong, I think it was a good event, but it just seemed to be missing something that I can’t quite place my finger on. Went to Top Hog BBQ last week. This was the first time for me, and it is a relatively new place. Walking in it is an open atmosphere, with good seating and tables. It is counter service, so you have to walk up and order your food, but then they bring it out to you. The story of how the place came into being (kickstarter campaign) is up on the wall, so that is some interesting reading for when you are waiting for your food. You will have time, as delivery times are not exactly the fastest… but for good food it is worth the small wait. It means that they are putting some time into actually getting your food prepared. I ordered the chili cheese fries as an appetizer, as my friends had already ordered the poutine. I tried both, though I know I am not a fan of poutine in the first place. Personally, I think the poutine was better than the chile cheese fries, which coming from me is saying a lot. Our fourth then arrived, and we decided on the large meat platter for four. The order was placed, and then about a ten or fifteen minute wait ensued… really not a big deal as we were comfortable talking, but I can see where it might annoy some folks who are expecting fast food speeds… you won’t get that here. The food comes out… pulled pork, ribs, corn bread, corn on the cob, brisket… the whole she-bang. The corn bread was a bit on the dry side, but certainly edible. The corn on the cob was a bit overspiced but certainly edible. The pulled pork was quite decent, truthfully, and the brisket was also quite good. Perhaps a little dry, but pretty good. The ribs… they need work… they were dry and their sauce didn’t spark any interest in me. The sauces available are on the sweet side. The regular and sweet are orange based, but even the spicy sauce is on the sweet side. I didn’t try the yellow or vinegar based sauces. Overall this is a place that I can eat at, but frankly I will not be going out of my way to go to. I will only be returning because I am with a group that wants to go. Went here for lunch the other day. 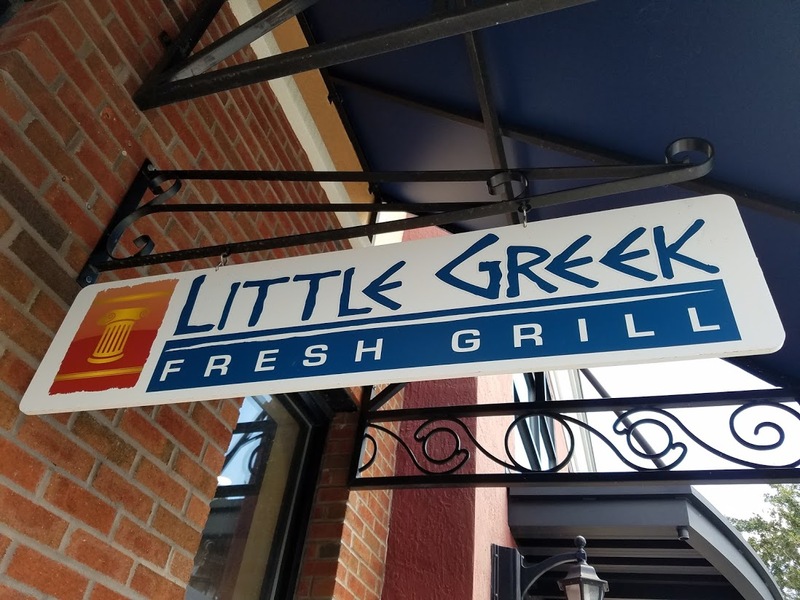 Nothing else in the area really appealed to me at the time (everything else in the area appears to be a chain restaurant), and a nice gyro appealed to me. Walking in I found the place to be relatively busy. A number of people waiting for their food to be delivered to their table, a couple of folks in line to order, and some other folks eating. The place is bright and airy, so it seemed to be a good place. I ordered up a regular gyro… I just wanted a sandwich, and that is what I got. It was pretty tasty, but there seemed to be a little less tzatziki sauce than I prefer, which is a shame. It was good though… just not the best I have had. Finished up my sandwich and hit the road, heading home. If I were in a spot for a bit of lunch in that area, this is the first place I would head to. Recently spent the night at the Swan because I had a dinner engagement in Orlando and didn’t want to drive home that evening. Got a pretty good deal with my SPG membership, and it turned out to be an even better deal since other friends who decided to stay at a different location ran into issues with their room. The room I got was a king bed, and I had no problems with it. The staff were courteous, and check-in went like a breeze. Really no issues in any of those regards. However, the hotel has seen better days, and there are parts of it that need some refurbishment. The hallways leading to the rooms need to be updated with new carpet, and some brighter lighting, as the carpeting is showing a lot of wear and it is just dark in the hallways. 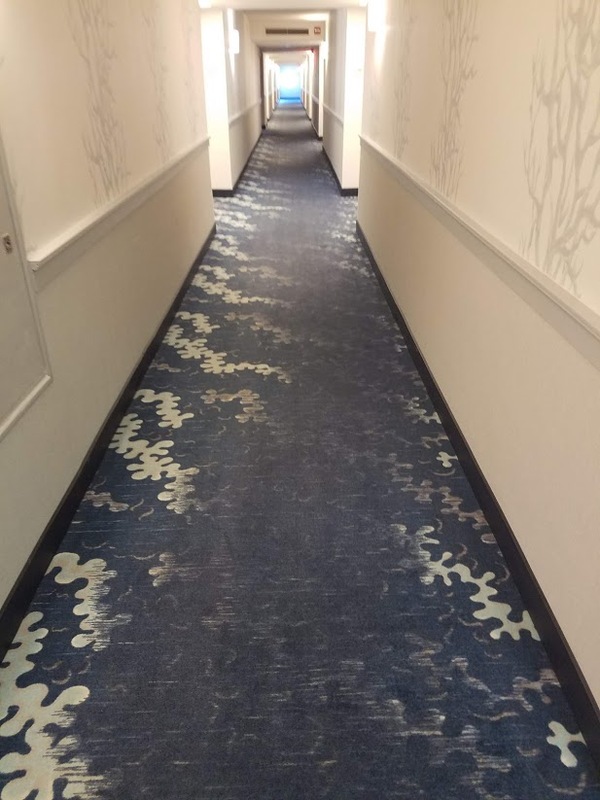 While there aren’t any holes in the carpeting, you can definitely see where the maid carts have been going up and down the halls over the years. Add to this the fact that you now have to pay for parking to stay at the hotel, at more than $20 a day for parking! Way to go, Disney, in pushing away your more local people who just want to stay at one of your hotels for a night or three! You have managed to turn a hotel that was $150 a night into one that is about $200 now. There are significantly less expensive hotels that have a higher quality level that are as close or even closer to some of the parks as this one, so I feel they are simply shooting themselves in the foot with the new parking fees that they have instituted. Kill the parking fees, and I will be happy to come back… otherwise, forget it. I had the opportunity to go to Medieval Times this past weekend. It has been about ten years since I have been to a show (the last time was up in Myrtle Beach) so I figured it would be a fun time, since I was going with a good sized group of friends and we dig this kind of stuff. Some background: I have been working with a stage show for a medieval fair for the last fifteen years, where we do performances with stage combat all day long. While we do not have any horses in our show, we do use live steel (i.e. steel weapons that are dulled, but not covered in foam) so safety during our shows are paramount. So here we are at Medieval Times. First, the cost is not cheap. We got in at a sizeable discount, but it was still close to $50 a ticket for each of us. Parking outside is not really an issue. As you walk from the parking lot to the main building you pass by a “Medieval Village” that frankly looks like it has been abandoned and is no longer in use. We were going to go around and look at it, but that time never really came about. Entering inside, you get your laminated pass and show it at a kind of gatekeeper, where you receive a crown colored in such a way to depict your favored knight and where you will be sitting. Ours was the yellow knight. You then enter a large common room where you can walk up to the bar and purchase drinks, or other vendors where you can purchase glowing swords and other trinkets. All of these items are hellaciously expensive, of course… drinks in particular are very high, and we saw situations where a single drink could cost you $30 or more if you got the souvenir mug. Small shows were going on around the common room, introducing various characters of the show that we were about to watch, that sort of thing. Unfortunately, unless you pay close attention to everything that is going on, it can be very hard to understand any of what is going on… more on this later. Eventually the horns announced that it was time to enter the arena, and we were loaded in much like a 747 at the airport is loaded, by VIP passes, then by section. All I needed was my luggage and I would have been all set. Walking in, the field was bathed in a blue light, making it look as if they were going to do this show on ice. I would have payed more to see this show if it were being done on ice… can you imagine horses wearing ice skates? Getting down to my seat, I was fortunate to be seated at the very end of my row, so I had some extra room. The seating is very cramped, which is unfortunate. In front of each place is a plate, a mug, and a bowl. You are first asked what you would like to drink, whether it be water, pepsi, or iced tea. No mention was made to me about the fourth option, lemonade, but I heard it from the row in front of me, so I asked for that instead. They have two major rules concerning the eating… the first is that you not bang your plates or mugs or anything as it disturbs the horses, and the second is that there are no eating utensils… everything is finger food. The menu is a set menu, consisting of tomato soup, a quarter chicken, corn on the cobb, a baked potato, and for dessert a wedge of lemon cake. So obviously the cost of entry (usually around $63) is not the food. The food you could get anywhere for about $10. Most of the money is going towards the show, so let’s focus on that. Remember what I was saying about paying attention to everything that is being said in the show? Yeah, if you don’t do that, and you get distracted by things like the food being brought before you, or questions asked by your server (he was great, by the way), or comments from people around you, or half a dozen other things that are going on, you will understand why the queen is distraught, why the king is… missing (I have no idea where the heck he was), why the tournament is being held in the first place, or why the queen allowed a good number of her knights (you know, her fighting force that would defend the castle and her kingdom) be grievously hurt during a tournament. So basically you are then left with the horses, the horsemanship, and the fighting. The horses are well trained, I will give them that, but I expect they would be if they are basically doing this same act every evening (or less… I don’t know what their schedule is like… I assume they get rest days). The horsemanship is also decent, but don’t expect Olympics quality work here. I didn’t see that level of equestrianism. Which then leaves the fighting, a subject by which I am much more informed about. In a word, it was… average. Some good moves, but I have seen a lot better. I have seen much more realistic dismounts of jousters as well. These fighters do get a bit more flashy because they use swords made of titanium (hence the brighter white sparks). Pretty much any sword will spark like that if you hit them in the right way, but the color given off is a dead giveaway. Lots of rolls (some of which simply don’t make sense to the fight), but the actual weapon moves are what my group would classify as mostly basic with a small of amount of mid-level. However, the sword fighting is the spectacle that makes the show and provides them with business, and in the darkness with the sparks flying and the loud crashes, it makes for a good show even when you have no idea why they are actually fighting. Is that worth an extra $40? Eh, you be the judge. Recently I had lunch at Teak Neighborhood Grill. 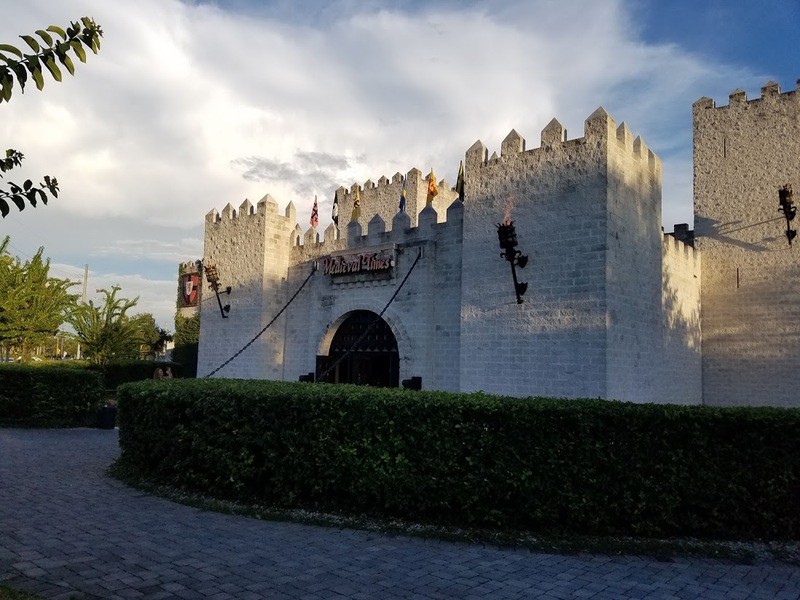 I had been looking for a place to have a decent lunch in the Orlando area prior to an engagement that evening that I drove down for, and I didn’t want to eat at some fast food joint where the food is predictable. The MetroWest area of Orlando is unfamiliar to me, so finding it was interesting. I am just thankful I have a decent GPS! Arriving I found parking without a problem, and when I went inside I found that seating was setup at the time to just seat yourself. Inside it is setup as a sports bar, nicely laid out with lots of screens and comfortable seating, but a sports bar nonetheless. I found a nice table with some decent light and waited for the server to come by, which was prompt. After going through the menu, I decided to get the Philly Steak Flatbread for an appetizer and the Spicy Veronica burger. A short wait while my food was prepared, and then it all came out at once (frankly the major reason why I am giving it four stars and not five). First the flatbread… the taste was really quite nice, and I enjoyed that, but one issue I had with it is that it is kind of sloppy. Center pieces in particular do not hold up well, and because they are cut into such large pieces they are tough to manage as a finger food. I ended up using a knife and fork for the center of the flatbread. Still, the taste is good, so I would recommend it. It would only take two seconds to cut into smaller pieces and become more manageable. 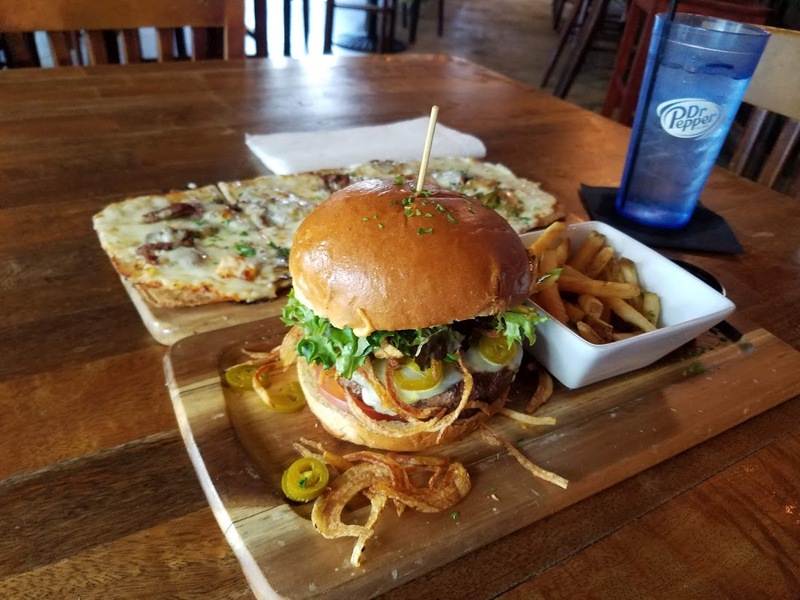 The burger… well, the Spicy Veronica holds up to its namesake with ghost pepper cheese, pickled jalapeños, sriracha mayo, and tomato on a toasted brioche bun. There are crispy potato strings on the side and sort of sprinkled around it that are unnecessary. The taste of the burger is very good, and they did a wonderful job with it. No complaints at all there! I needed a good burger, and they delivered! If I am in the area again I will definitely think about heading here for a bite to eat. Friends will also get a recommendation from me if they happen to be nearby. This is probably one of my favorite progressions when reading the results of trial off of the US Navy JAG website. At a Special Court-Martial in San Diego California, STGSR Matthew H. Piotrowski, USN pled guilty pursuant to a pretrial agreement to one specification of absence without leave, two specifications of failure to obey a lawful order, and four specifications of wrongful use of a controlled substance. On 10 February 2017, the military judge sentenced him to be discharged with a Bad Conduct Discharge and confinement for 7 months. Pursuant to the pretrial agreement all confinement greater than 60 days is to be suspended for 12 months. The suspended confinement may be served if the Service Member violates the terms of the pretrial agreement. At a Special Court-Martial in San Diego California, STGSR Jarred T. Williams, USN pled guilty pursuant to a pretrial agreement to one specification of absence without leave, two specifications of failure to obey a lawful order, and three specifications of wrongful use of a controlled substance. On 10 February 2017, the military judge sentenced him to be discharged with a Bad Conduct Discharge and confinement for 6 months. Pursuant to the pretrial agreement all confinement greater than 60 days is to be suspended for 12 months. The suspended confinement may be served if the Service Member violates the terms of the pretrial agreement. At a Special Court-Martial in San Diego California, STGSR Aaron Z. Buchanan, USN pled guilty pursuant to a pretrial agreement to one specification of absence without leave, two specifications of failure to obey a lawful order, and five specifications of wrongful use of a controlled substance. On 13 February 2017, the military judge sentenced him to be discharged with a Bad Conduct Discharge and confinement for 7 months. Pursuant to the pretrial agreement all confinement greater than 60 days is to be suspended for 12 months. The suspended confinement may be served if the Service Member violates the terms of the pretrial agreement. military judge sentenced him to be discharged with a Bad Conduct Discharge and confinement for 7 months. Pursuant to the pretrial agreement all confinement greater than 60 days is to be suspended. The suspended punishment may be served if the Service Member violates the terms of the pretrial agreement. military judge sentenced him to be discharged with a Bad Conduct Discharge and confinement for 6 months. Pursuant to the pretrial agreement all confinement greater than 60 days is to be suspended. The suspended punishment may be served if the Service Member violates the terms of the pretrial agreement. Read those carefully. The dates are the same on them for some reason, but the one from February has them AWOL, failing to obey two lawful orders, and five drug violatons. In March it changes to become another AWOL charge, breaking restriction (from February), and four drug counts. The confinement time also goes up the second time around, although the Bad Conduct charge stays the same. Seeing as both instances were “Special Court-Martials”, it would not have been possible for the charges to be increased to a Dishonorable as that punishment can only come from a General Court-Martial. For the month of August, another Yelp special event! This time around we are spending the evening at Tijuana Flats, a Florida-grown chain of restaurants started by a guy out of Orlando who really loved Tex-Mex and wanted to share that love with the rest of the world. A bit of warning… I am told that I can be a bit brutal with my reviews. Honest, but brutal. This review will not be an exception. You have been warned. We all arrived at the location on Archer Rd. around 6:30pm, and were processed through the registration fo rhte event (i.e. picking up the sticky labels from a table and saying “Yep, that’s me!”) We were also given two tickets for free drinks inside, but since I was limiting myself to the lemonade that has free refills, I only used one of the tickets… some lucky soul got my other one. Drink orders made and in hand, I worked my way into a seat at a table reserved for our group. Lots of party prizes from Yelp on-hand, but I think I made my mark on party prizes the last time I was at one of these events by attaching the bicycle bell to my motorcycle. Lots of conversation about various things, getting to know our neighbors or catching up on things that have happened over the past couple of months. The first appetizer then came out… chips with three kinds of dipping sauce: salsa, guacamole, and queso. All three of the dipping sauces were fine, but the chips were on the salty side. As these were being served, some introductions of our hosts were made. A bit of history concerning Tijuana Flats, starting with its incarnation way back in 1995 (I remember 1995… I was in the Navy sailing across the Pacific Ocean at the time) and going through some of the highlights of its history, with expansion and alliances with various people in order to make it the food chain that it is today. The South Florida marketing coordinator was there to host things, and she was quite cordial. Second appetizer comes out, which turns out to be french fries and queso. The fries were good, with an appropriate amount of salt on them. How do I know it was an appropriate amount? Because they were salty, but not so salty that my lips started to wrinkle like I had been in the ocean after some had been eaten. Yes, I have been at places (that were not Tijuana Flats locations) where this has happened. The queso was decent, though I found it a bit watery. A little thicker and it would stick to the fries better. While this was coming out, a couple of trivia questions were asked of us, based on the history lesson we had received earlier concerning Tijuana Flats. The questions were relatively easy, and for those that were paying attention to their surrounds, about three quarters of the answers were actually printed out on information placards on all of the tables. A bit of a warning now… if you do decide to get the fries and queso, be sure to get extra fries, and consume that queso while it is still relatively fresh. If you let it sit out too long, it tends to develop a skin on top that is not appetizing. We saw this. We laughed, we cried, we made fun of it. Next was the main course… the cheeseburger taco. Remember that warning I gave at the beginning? You have seen a bit of that with my thoughts on the queso, but now we get to the real food travesty I saw last night. The cheeseburger taco is just what it says it is… a soft taco shell with the makings of a cheeseburger thrown in it. The burger patty is basically course ground beef with no taco flavoring, so you get the flavor of the beef. Lettuce and tomato are in there, as well as cheese. However, they also have the condiments on the burger… ketchup (catsup? Tomato sauce? Take your pick… depends on where you grew up), yellow mustard (blech! ), and a couple of pickles. I am sure that this is how it normally comes, and if you were to order it from the counter you could ask for any of those items to not be added, but we were in a “here you go” situation, so that is what we got, and I consider this to be an evaluation of how their menu designers see the product. And frankly, I was not enthralled with this at all. By the reactions of those around me, it seems like there was a general feeling of agreement with my feelings about this particular dish. Seconds did come around, but I passed. Next up was some dessert. First were churros, which I am sort of embarrassed to say I have never really tasted. I held an annual pass to Disney for five years straight, and I have never had a churro. Go figure, right? Frankly, they are decent. The couple of bites that I had were a perfect amount for me, but I have never been a huge sweets person in the first place. After that was a sampling of their cookie dough flautas. They were alright, but I preferred the churros. The flautas are a bit too rich for me, I guess. They weren’t bad, mind you… they just weren’t my thing, and I am sure that other folks around me loved them since they were going back for seconds/thirds/JUST HAND ME THE WHOLE TRAY! During this the results of the trivia contest were announced… apparently just about every team had answered every question correctly (well, what do you expect when the answers are on a card right in front of us?) so instead the winner was drawn out of a hat… which again drew up some contention since the team name chosen was “Team Awesome”… and there were two different “Team Awesome”‘s… Hilarity ensued. It was a good time. Now, you have gotten this far through my logorrhea (yes, it’s a word… look it up) so you might be wondering why I have given this five stars. The answer is that this is an event, and the food once again is only a part of the main purpose of the whole. Yeah, some of the food wasn’t too my or others’ liking, but that is just a part of what is going on. The food is just a catalyst for getting Elite Yelpers (Yeliters?) together in a social gathering to trade war stories, get to know each other, build relationships, and just have a good time in order to thank us for our hard work in writing about various locations in our area. By bringing us together, the hope is that we will become better writers and photographers and make their website that much better for all users. In this regard, I think the event is a total success… I mean, yeah, some of the food wasn’t that great for some of us, but that just creates a platform to discuss it. Thank you Matthew and Tijuana Flats for bringing us together to make Tijuana Flats, Yelp, and all of us better at what we do while enjoying each other’s company!